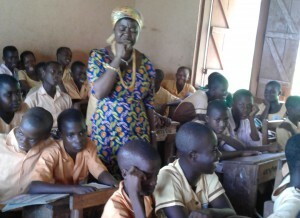 Stand Ghana’s Human Rights Education train is on the move, stopping this time at Hlefi in the Volta Region of Ghana, in collaboration with the queen mother of the area to teach JHS students their human rights and responsibilities. The timely Human Rights Symposium took place at the premises of the Hlefi JHS involving all JHS 1 – 3 students and teachers. Also present were some chiefs and members of the Parent Teachers Association (PTA). The main purpose was to equip the students with appropriate human rights knowledge and information that will empower them to be able to fully enjoy their rights and embrace their responsibilities so that they can grow up to become responsible adults for their community and the entire nation. 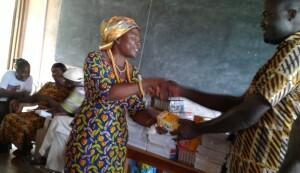 She urged the girls in particular to be respectful at home, stay focused on their education by investing most of their time and energy into learning. She also cautioned them to avoid bad friends and acts of sexual promiscuity which will only curtail their education and dreams. She said cursing is an emotional abuse which is injurious to the child’s well being and appealed to parents present at the function to stop the practice since it can negatively affect the future of their children. 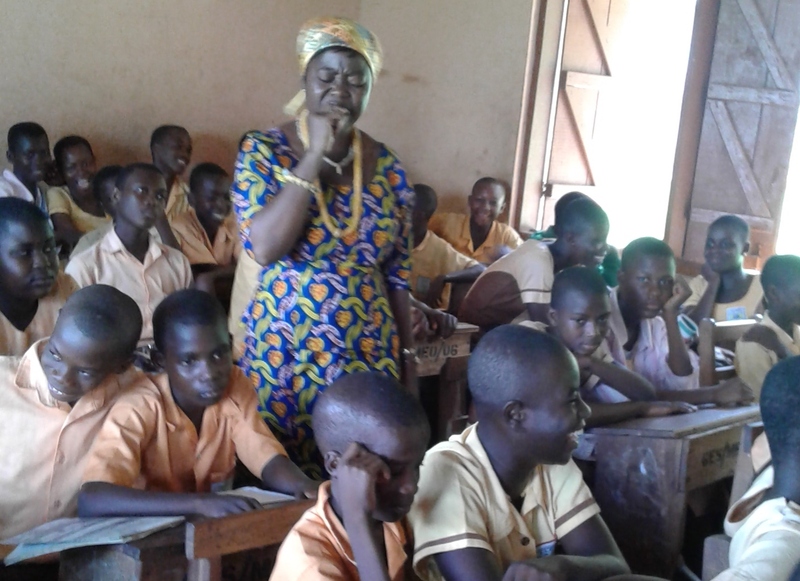 The Executive Director of Stand Ghana, Madam Rosemary Kayi also asked each student to act as an advocate of human rights by spreading the good news of human rights to their friends and parents so that more people will be aware of their rights in the Hlefi community. Before the end of the programme, the Queen Mother presented learning materials such as 300 exercise books, mathematical sets, pens, pencils and others to the students through the Head Master of the school to help aid learning and teaching so as to improve the standard of education in the area.